It’s time to stand in your power with this Super / Blue / Lunar Eclipse / Full Moon at 11˚ Leo. The first month of the year starts and ends with a Full Moon. Is not only that we have two Full Moons instead of one within one month, but what makes January so special is that both full moons are super potent – the first one takes place in its home sign Cancer, and the second is a Lunar Eclipse. The full moon is a time of illumination, a time of power, and a time of manifestation, which Fire sign Leo feels right at home in. The king of the jungle, he’s dramatic, he’s passionate, he’s bold, and he gets it done. This is a show-stopping astrological happenstance that’s packed with energy to help us get clear on our vision for the year ahead. This full moon is very powerful and will do a great job of purging and releasing things from our lives that no longer serve our higher selves. 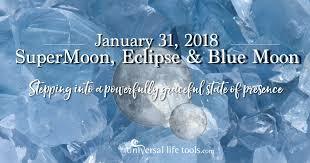 Coupled with an eclipse, which asks us to get real about what we need, and they often close doors that aren’t serving us while opening new ones. Join me for this extremely influential event as we meditate and perform a ritual to rid ourselves of that which no longer serves us and STEP into our power! $10.60 by Paypal (paypal.me/whwretreats) — I will have a special gift when you pre-pay!